– CSS v2 (Cascading Style Sheets): This is the code that enables almost all design on the web. In other words, designers have to hack up websites just to make them load in IE6. – PNG Transparency: A great deal of .png images don’t display correctly in IE6. It basically kills using them in design work. – General Security: Just like not updating your virus software can get you riddled with spyware, not updating your browser can be a gateway to attacks. There are even code snippets that will shut down IE6. I won’t tell you what they are, but you can find them on Wikipedia. It’s unstable. 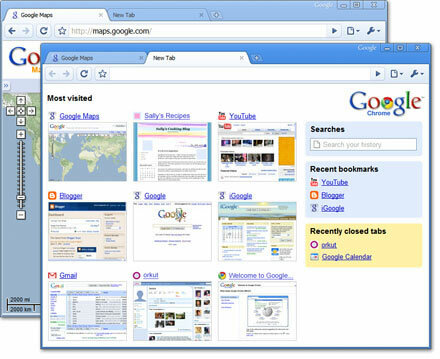 – Digg , Facebook , and YouTube (soon): Both Digg and YouTube have announced that they’re cutting back on IE6 support. Facebook already gives you suggestions for better browsers if you try to log in with IE6. You won’t be able to Digg articles or browse YouTube via IE6 in the near future. You should read through the entire article though if this is something that is of interest to you because they go into HTML5 as well as how IE6 is hurting web development progression in general. As a “web guy” I can’t wait for IE6 to die. When a client says they want to target IE6 (I usually say “current release + one version back” but sometimes they object) I utterly cringe because I know what a PITA it will be. Catch the full article on Mashable.